General Biology 115: Chapter 1 Notes This is the introductory lecture notes for the general biology 115 course. 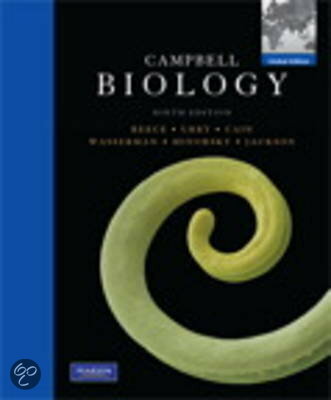 This gives an overview of what concepts will be covered in biology and how the study of biology was developed. Any significant terms are defined and explained along with examples. These Chapter 1 notes are easy to understand and are written for you to understand even without prior biology or chemistry experience. Hope this helps! Evolution Complete with information on evidence for evolution, the process of photosynthesis, theories such as endosymbiosis, and much more! Cell Notes In-Class notes taken fall semester at University of Miami for BIL 150. Mitosis In this powerpoint, the process of Mitosis is discussed in-depth. The processes of mitosis are described in full detail, along with figures and pictures to help complete the understanding of Mitosis. General Biology 115: Chapter 2 Notes These are the Chapter 2 lecture notes for general biology 115. These notes contain full diagrams of atoms and their properties as well as definitions that accompany them. Notes are very detailed and explained to you as if you did not take biology before making it easy to understand. Simple models and examples are used in here and made to make one's understanding effortless. Chapter 1 Book Notes In-class notes taken at the University of Miami in BIL 150. Very helpful for midterm exams and final. Mendel and Genes This powerpoint goes through the process of Mendel\'s findings about Genetics. The notes go in-depth about genes, heredity, and variation along with the importance of each one. These notes also discuss monohybrid and dihybrid crosses with examples and pictures for further instruction on how these processes work. Chemistry of Life III Notes In-class notes taken at the University of Miami in BIL 150. Very helpful for midterm exams and final. Chemistry of Life I Notes In-class notes taken at the University of Miami in BIL 150. Very helpful for midterm exams and final. På denne side finder du referater, notater, studieguider og meget andet for studiebogen Campbell Biology, skrevet af Jane B. Reece & Lisa A. Urry. Referaterne er skrevet af de studerende selv, som giver dig et godt indblik i hvad der er vigtigt at studere i denne bog. Emner som NOMA, Mitosis, Meiosis, Ecology, Campbell Biology & AP Biology tages der god hånd om.